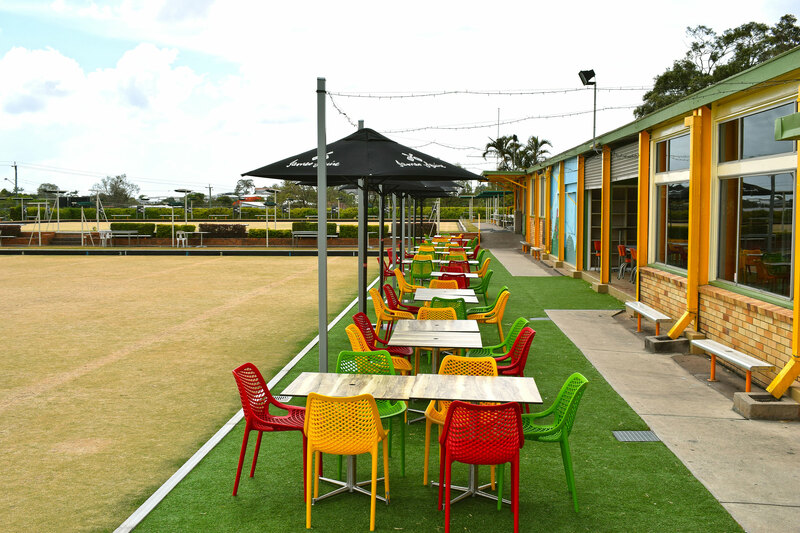 Camp Hill Bowls Club was founded in 1944. 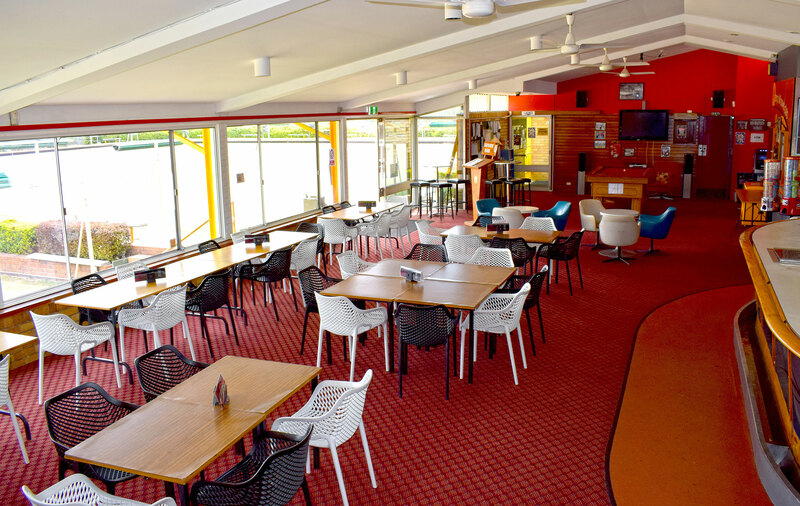 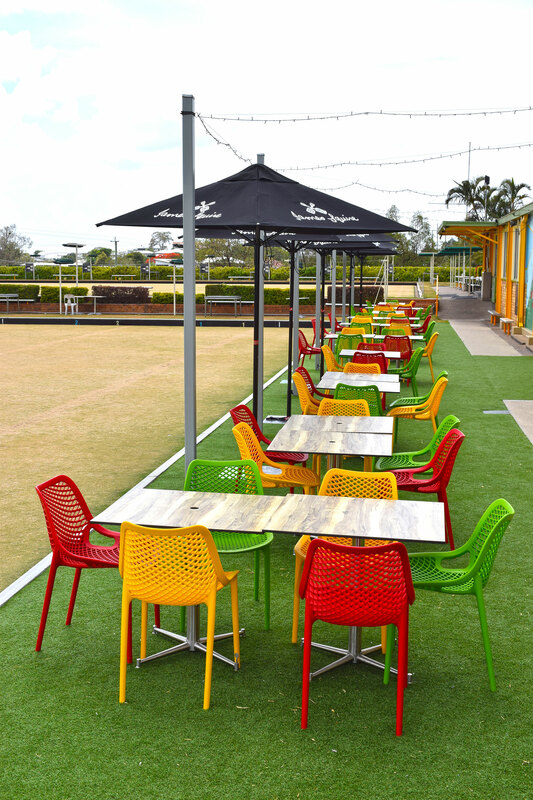 In a time where clubs in Brisbane are seeing a decline in membership, Camp Hill Bowls Club is surging forward, mainly due to their innovative events and their perfect position for the Annual Riverfire event in Brisbane. 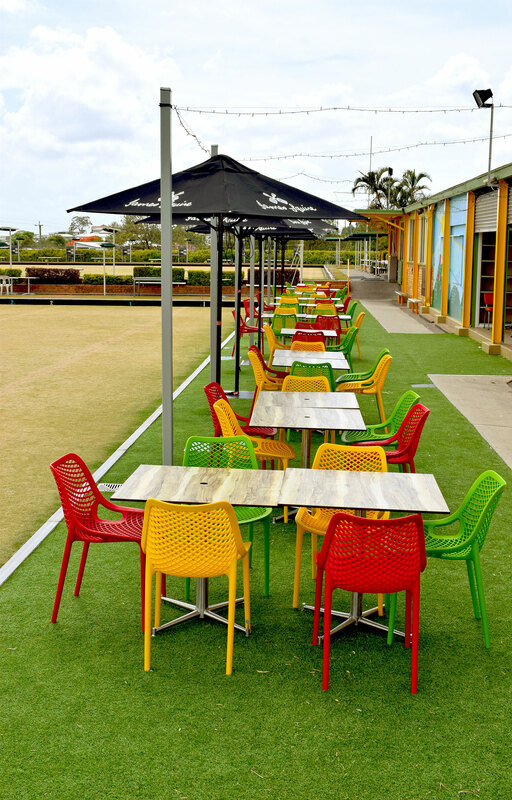 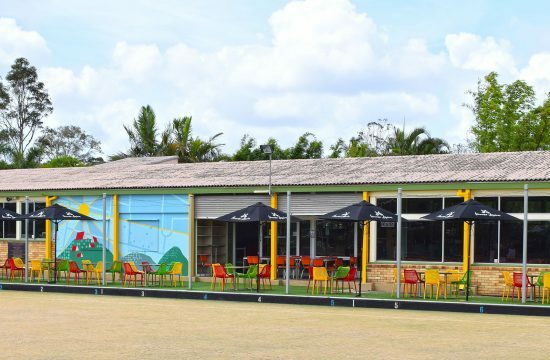 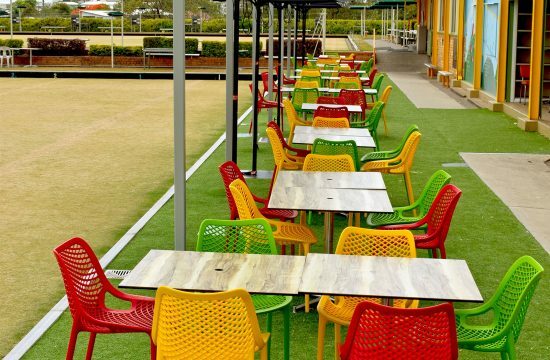 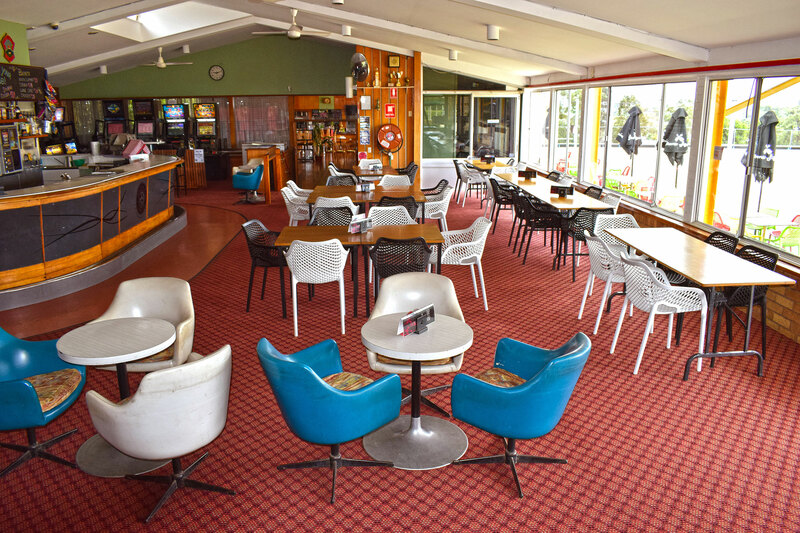 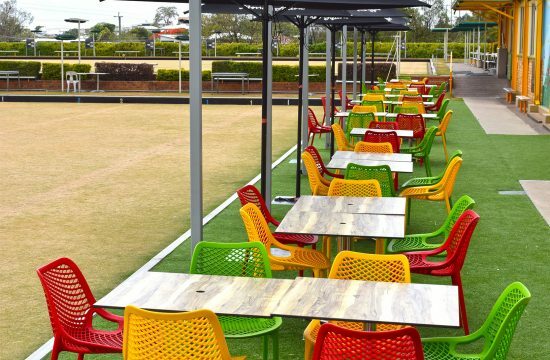 The Camp Hill Bowls Club is more than a Bowl Clubs, it is now considered a community hub, where locals congregate to catch up and have a good time. Camp Hill is a suburb of Brisbane situated 6 kilometres south-east of the CBD. 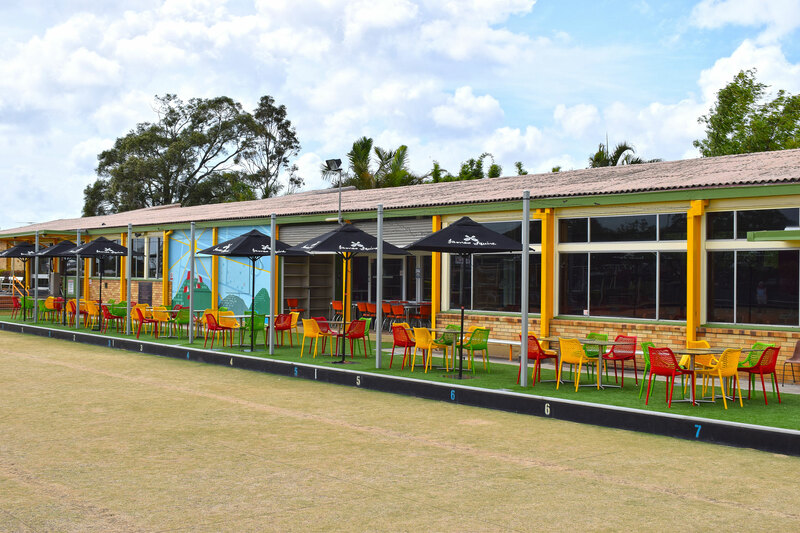 Mostly a residential suburb, Camp Hill is thought to have been named by teamsters who camped at a waterhole near Whites Hill in the suburb’s south, while travelling between Brisbane and Cleveland. 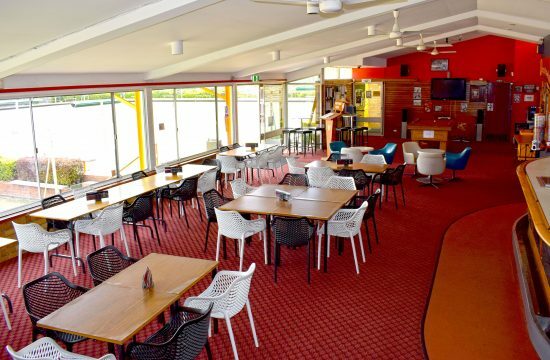 In 2018 the Camp Hill Bowls Club underwent a refurbishment. 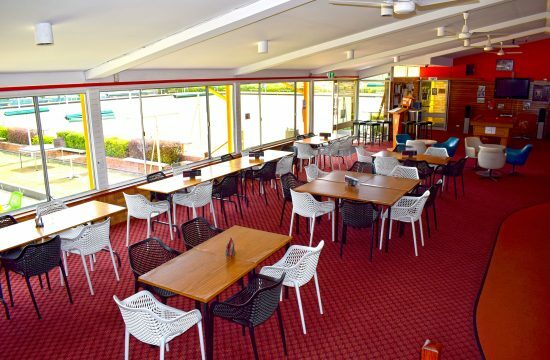 As part of the refurb new outdoor and indoor dining furniture was required. 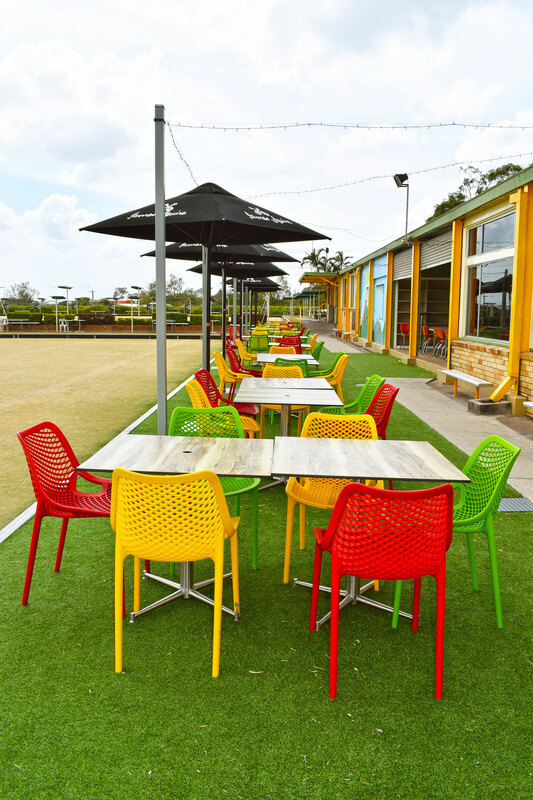 To match the vibrancy of the building the Air and Air XL chairs were utilised with bright colours externally and then to create a more refined look inside the black and white coloured Air and Air XL chairs were used. 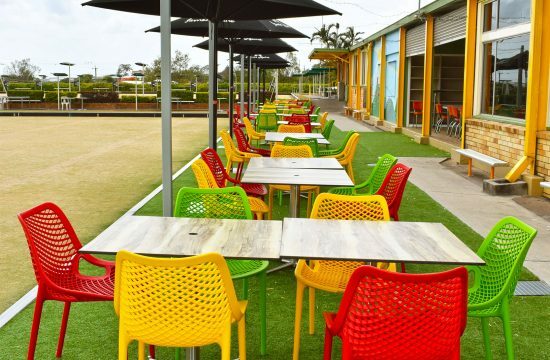 In addition to the supply of chairs Camp Hill Bowls Club now also has a range of our Stirling Table Bases with Shesman Compact Laminate Table Tops.